There must be something in Vancouver’s air that is inspiring the city’s technology companies. Techvibes toured the offices of some of the west coast’s most innovative startups and large-stage firms, finding a love for reclaimed wood, eye-catching lighting, outdoor-inspired spaces and amazing views—although in a city where mountains meet water that’s hard to ignore. Bench drew inspiration from the Danish design concept of Hygge—warmth, comfort and closeness—to create a new home out of a 55,000-square-foot space in the heart of downtown Vancouver. 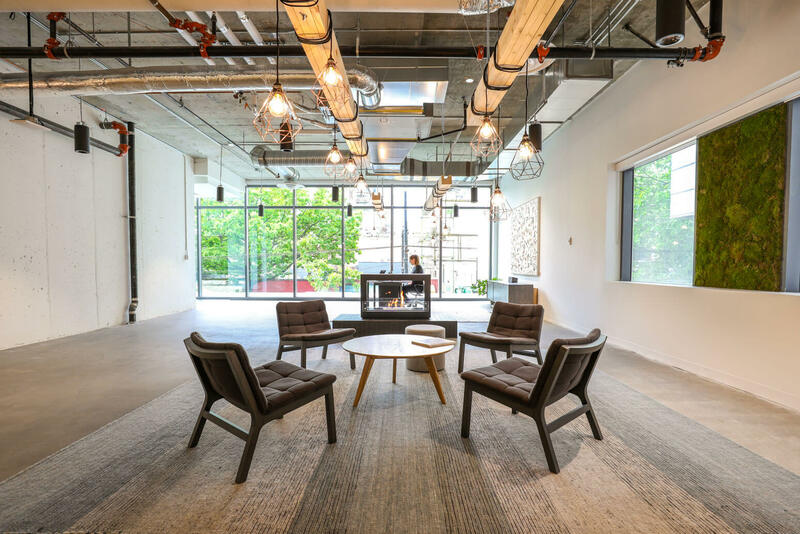 Lounge and breakout spaces are peppered around the office for plug and play, while a open central room is host to both local events and crucial conversations. Meditation sessions and board games night? Bench has that too. 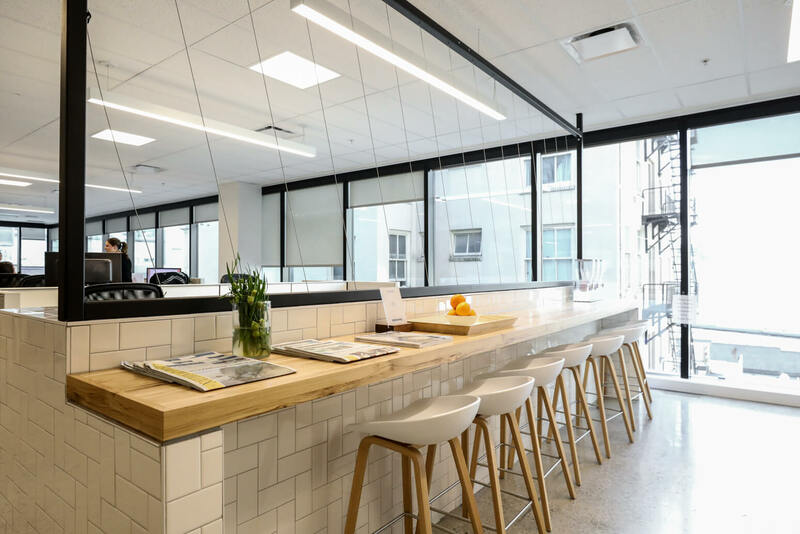 STAT’s chic industrial two-storey office reflects the company’s spirit: creative, energetic and youthful. A tiled mosaic wall, colourful geometric-patterned walls, and one-of-a-kind artwork are hard to miss. In the mezzanine, community meet-ups and pizza-fuelled nights are a mainstay. STAT is also big on giving back, running charitable campaigns and matching staff donations. With a mission to create community-driven gaming, the lines between work and play are seemingly blurred at A Thinking Ape. 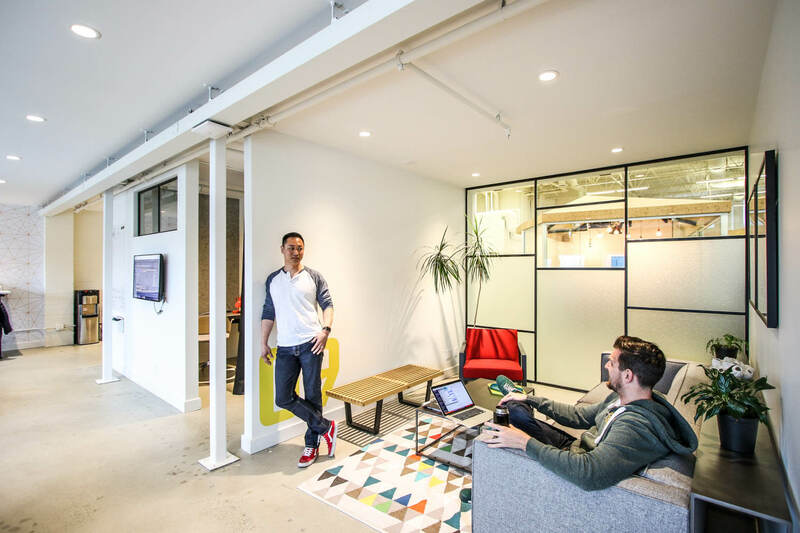 The office’s polished concrete floors, wooden feature walls and floor-to-ceiling windows extend throughout the open workspace. Self-described as a food-centric workplace, ATA throws frequent celebrations that give the team any reason to enjoy tasty treats. They even have their own Room of Requirement, just without the Harry Potter magic. 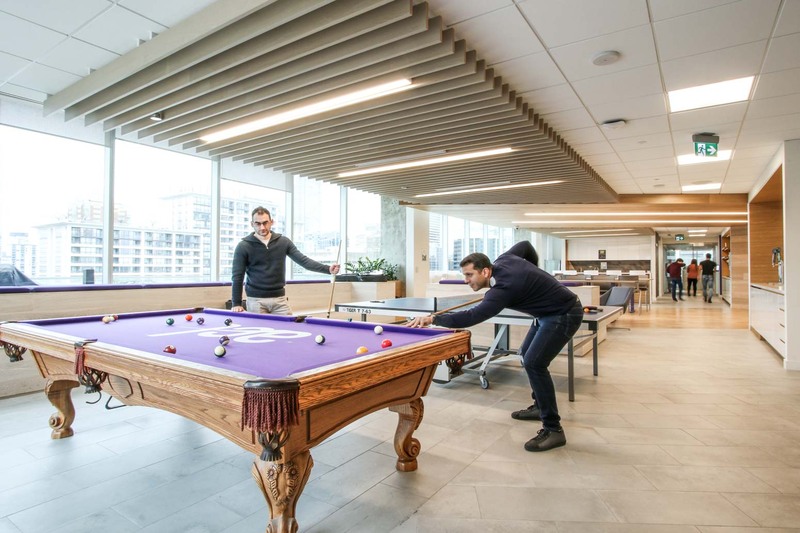 ACL’s redesigned HQ coincided with the 30-year-old company’s cultural transformation to embody fresh ideas and inject new energy. 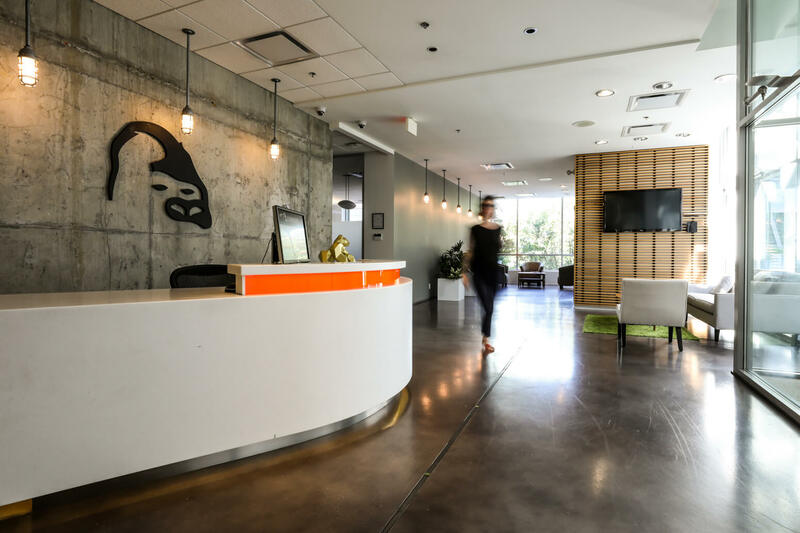 That saw a major facelift to the 50,000-square-foot office, including new breakout spaces, superhero-themed bathrooms and gaming stations. Embracing all things startup, ACL has billiards, ping pong, foosball and retro video games. Not to mention a rooftop patio to crack a cold one. 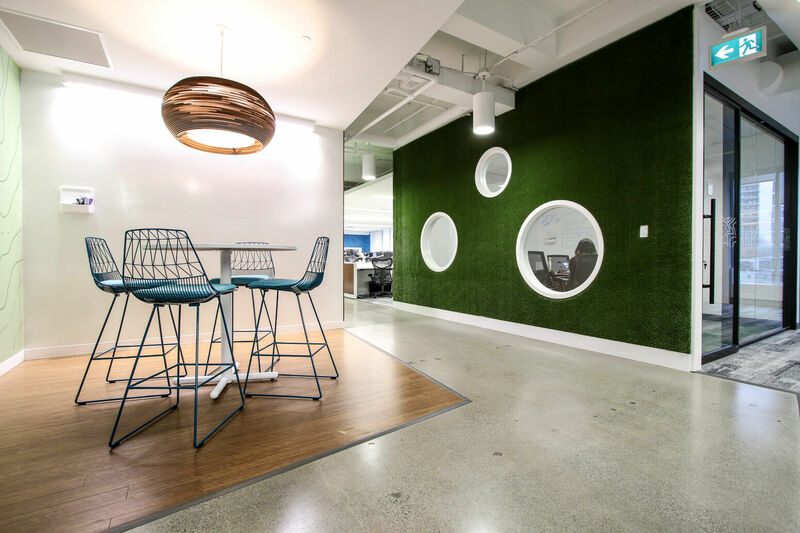 Just outside of Vancouver, Clio’s Burnaby office does its best to bring the outdoors in with giant plants, a live edge wooden dinning table, meeting rooms names after lakes and mountains, and murals dedicated to B.C.’s breathtaking views. Clio’s own “dawn patrol” club tackles the infamous Grouse Mountain, while other employees prefer to Mountain Pose inside the office’s in-house yoga studio. Expedia’s CruiseShipCenters HQ is naturally nautical. Eye-catching features include a bow-shaped reception, a floor-to-ceiling wood relief map, porthole windows—you get the picture. While the office navigates a land and sea theme, the common rooms offer views of both: the city’s mountain range backdrop and nearby harbour. Working for a global vacation company comes with some sightseeing perks like generous travel credits and preferred Expedia rates. Indochino’s nearly 15,000-square-foot workspace reflects the online suit-seller’s brand: polished, stylish and classy. 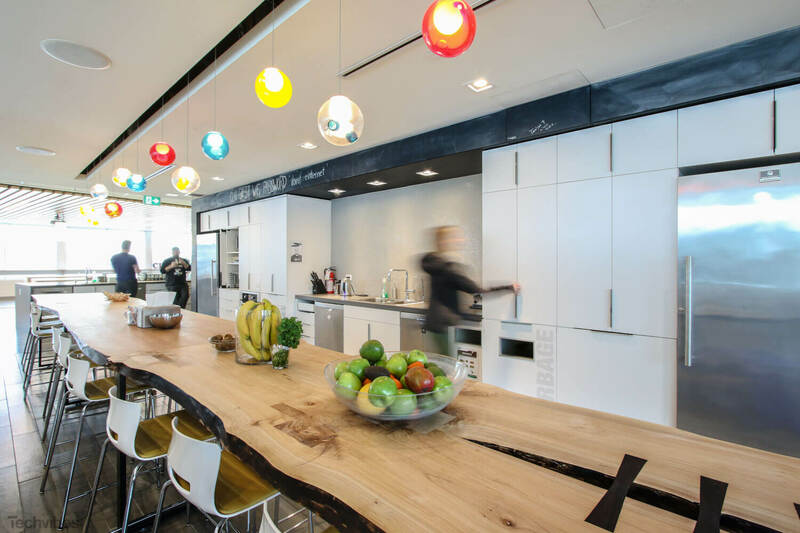 Two kitchens give employees ample room to enjoy their mid-day break, while lounge areas serve as the perfect place to kickback. The main kitchen spills out onto a sun-filled 4,000-square-foot terrace; a sprawling wraparound patio that sees heavy traffic—when it isn’t raining, of course.